AliExpress is home to millions of fun gadgets, hardware, accessories and other assorted products in different categories. With the lack of a reliable ecommerce industry in Pakistan, AliExpress, seems like the best bet possible. But there’s one issue that holds back widespread adoption of AliExpress in Pakistan. Most people in Pakistan do not have credit cards and most banks don’t support online payments through debit cards. Which means that you don’t get to shop at the world’s biggest marketplace. Pretty irritating right? But fret not, there are ways for you to still shop at AliExpress if you don’t have a credit/debit card. Today we will guide you on how you can shop at AliExpress without the need of a credit or debit card. You can even pay if you don’t have a bank account. While it may seem like sending money over Western Union is a bit of a hassle, practically speaking, you still get to save a lot of money when you order stuff from AliExpress. 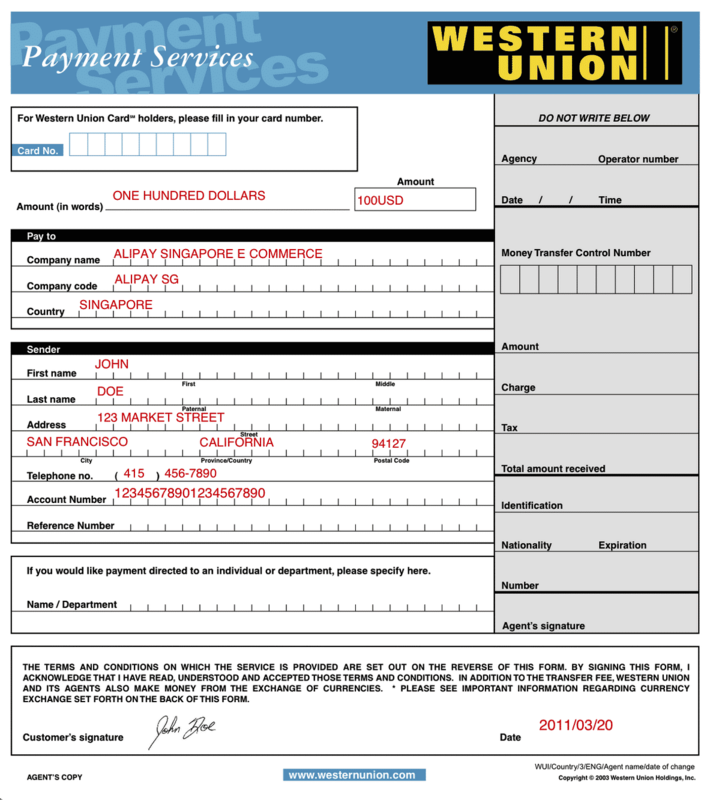 To pay using Western Union, your total order needs to be over $20 and below $50,000. That’s the only condition you need to fulfill in order to use AliExpress. To pay using this method, add everything you want to order into your basket first. When done, go to your basket and click on “Pay All” at the end. Make sure the total is over $20. The next page will ask you to confirm your shipping address and “Place Order”. You will then be asked to choose a payment option. Obviously, you will need to select ‘Western Union’ here. If you are using the AliExpress app, clicking on more payment methods will take you to the AliExpress webpage or if you’re on desktop you’ll directly see a popup with more payment options for Pakistan including Western Union. Choose Western Union and click continue. You will then be taken to a page which will tell you some information for your order. The buyer needs to wait 24 hours and then head to a Western Union agent and send the money to account provided on the order page (similar to the one attached below). The money needs to be transferred in USD only and by using a “QUICK PAY” (Person to Company, not Person to Person) payment using a BLUE Western Union Payment Services form. You will be charged a small amount as fee depending on the amount you are sending (for more details, please check Western Union fee table of Quick Pay pricing). Your order will be confirmed within 3 working days. Payment has to be made to AliExpress (The company name mentioned in the first image i.e. ”Alipay Singapore E Commerce” and NOT to the seller. Payment has to be made in USD ONLY. On completion of payment, keep the MTCN code in a secure place. Do not share the MTCN code with anyone. Contact AliExpress Customer Service order status does not change to paid within 3 working days. You can also use Bank Transfer (if you have a bank account but no debit/credit card). This is the other payment option and is much more simpler. Note: You cannot pay for your total order using bank transfer and each item has to be paid for separately. To pay using bank transfer, your order price needs to be over $20 and below $50,000. To use the bank transfer method, simply buy the item you want. If you have added everything in the shopping cart, you will still need to pay buy each item separately. Make sure the price of each item is over $20. The next page will ask you to confirm your shipping address and “Place Order”. You will then be asked to choose a payment option. If you are using the AliExpress app, clicking on more payment methods will take you to the AliExpress webpage or if you’re on desktop you’ll directly see a popup with more payment options for Pakistan including wire transfer. Choose ‘Wire transfer’ and click continue. You will then be taken to a page which will tell complete bank account details for your order. You will be required to send the money in USD to the listed bank account either online, or by going to a bank’s nearest branch. Your order will be confirmed within 7 working days. Payment has to be made to AliExpress, that is, the Beneficiary Name listed (like in the above image). Do NOT transfer payment directly to the seller. Transfer the amount in single go, don’t split it. Pay for each order separately. Contact AliExpress Customer Service order status does not change to paid within 7 working days after payment. When using bank transfers, transfer enough money to cover all bank service fees (if any). WebMoney is an online wallet. You can create an account and top it up (for a small fee) using bank transfer or by using a credit or debit card. It is a more user-friendly method of payment and you can transfer the money once into your wallet and keep using it whenever you need to buy something. It is a good option for regular shoppers. To use this method, simply buy the item you want or add it to cart. There are no restrictions when using this WebMoney. When you confirm your shipping address and “Place Order”. You will then be asked to choose a payment option. Choose WebMoney from the app or the web page and fill in your details to make the payment. If you can’t pay using any of the above methods or if there’s any issue preventing you from doing so, your last option is to go to money exchange agents. Some of the agents have foreign bank accounts and debit cards. You can ask them to make the payment for you while you can pay them the usual conversion rate plus a small fee. When using this option, you will have to use your own or the agent’s mobile or PC to pay for the items you already have in your shopping cart, where card or bank account details will be entered by the money exchange agent. We hope this will solve all of your questions regarding other payment options when shopping at AliExpress. ProPakistani will continue our guides on enabling the Pakistani internet users to shop online with the best possible experience. Any questions or do you have something to say? Sound off in the comments below. after that parcel arives maximum after a week. ok fine, I place an order and it gets confirmed. Would my things be delivered to my doorstep ? Any customs,duties ? Dear all information is good but i am against the Opetion pay using Currency Exchange Agent (Last Option) because when dispute questions arise it will be a hassle to get back the refund you know agents repute in local markets. O bhai itny complex methods. Simply buy a ubl wiz card which is around 250 PKR and pay. You are right. I am using wiz card but it is too difficult to deposit money in wiz card..ubl staff is so irritating for wiz card customer. I’ve been using UBL wizcard for over 2 years now and never had any bad experience with UBL staff, always courteous. Maybe its a particular branch. Which branch do you go to ? Chandni Chowk Branch in rawalpindi. dear let me know how they are charging…current dollar rate or what because i get charge $108 + 3.5% current it’s 104. What a mess! Go to any UBL branch, get Internet Wiz card by paying only Rs100, deposit payment and use AliExpress. East or West, UBL Wiz Internet Card is the Best! bhai ab wiz card dety hain k nahi ubl waly?…..
Best way is to buy ubl wizcard or open asan account in meezan bank alfalah or ubl. Do not recommend hbl. But you can also use there card atm card also. Its one time headache. Then go and buy from anywhere. You have to call 042-111-225-786 and activate your card for internet shopping. Good Article. But Debit Card is the best option. I paid using Meezan Master Card. They charged 2.5% International Transaction Fee on the Total Amount. Plus, 50 Rs. + Tax (PKR 8) for activating Debit Card for online use. Got my payment verified from the Ali Express in less than 20 hours. Waiting for my parcel to be delivered safely! MCB lite card is the best for this purpose… you can sign up at mcb lite website for free.. You’ll recieve the mcb lite card for free at your postal adress within 15 days. Activate the card at any nearby MCB branch.. And online shopping can be activated by calling on MCB lite helpline.. The activation needs 300 rupees only.. It’s the fee for one year.. I’ve used MCB lite card for shopping at Aliexpress and other sites.. I think it’s safe to use.. I have been using MCB Lite without any issues. Exchange rate is also good, and it works without having to call for activation. Tried using HBL, but sometimes you are on hold for about 30 minutes, and just the cost of phone call could be a full Rs. 100 load. Would be nice if HBL can introduce some way to active via web portal or via ATM. Agreed with previous comments not to use other methods, unless you are ordering using DHL, where you have tracking ability. Otherwise, it is very difficult to get refund back. I won’t recommend using any of these methods. Since in 70 – 80% cases Pakistani shoppers have to claim their payment back due to non-arrival of goods. If you aren’t using a Credit Card or Debit Card the refund process could become quite tricky and you’ll end up losing your money. UBL Wiz is easy to use. I am also using Rupeeco which is Pakistan’s first cashback website and earning cashback on my transactions at AliExpress. Rupeeco has implemented excellent idea to earn extra cashback on online shopping. Shafqat brother can you tell me how to get wiz card also does it work with Google play Store and aliexpress. Pls tell me issuance charges of card? None, only Rs. 300 yearly fee. Does ubl Wiz Internet card work on aliexpress and play store kindly tell me. Need to purchase things. this wont work.LOcal Western union guys have been stopped by state bank to send money to China on a Chinese name. So forget this method. Bhai jaan read both the comments at least. In context of what he said, the buyer is NOT paying the Chinese sellers directly. The payment is sent to Alipay not the seller. Alipay then forwards it to the seller. So you don’t have to directly send it to China. Total fake report. The writer have never done so or been to WU or even have bought from aex. You can not remit directly from Bank unless you are a Tax paying comany. And the money can only be remitted to a Company’s Name where as most of the sellers will give personal accounts 99% of time. Any one having experience of buying smartphone from Ali express? Is bank account is coumpoulsary for webmoney ? Is easypaisa working on ali express ? anyone using Bop mastercard for payment? ?